Dear Guruji,In general meditation we have to experience white light entering in our body, is it the physical white light or some thing else we have to imagine? It is not the physical light. It is the subtlest Light. Just be aware that Light enters you and fills up your system. It will enter. Experience It. Then slowly spread It. Do not try to see It. You will not be able to see because It is not the physical light. Be aware of It and experience It. Meditation and Light Channelling will help. Meditate regularly and channel Light before sleeping. It will help. Also consult a Doctor before taking sleeping pills. Do Saptrishis help us in our other sadhanas/Puja as well? And how long does it take to establish a proper communication with them? Sapta Rishis are our Spiritual Guides. They help us go back to our Source. How long does it take depends on our efforts and our love for them. It is the Love that helps us connect. Namaskar.1- How can one get initiated and who will initiate him? 2- And how much time/everyday would one require to meditate after getting initiated? Thanks. In this path of the Rishis, the Rishis initiate astrally. We have to meditate for 30 minutes to begin with and then slowly increase the time to an hour as we advance in sadhana. We teach Meditations. You may please visit our website www.lightagemasters.com for details. Sir, I am a meditator since last 5 years. I want to do meditation for 40 days full nights. But I cannot do it at home. Can I stay in Taponagar for 40 days. I am preparing for PG EXAMS. I am a doctor. We have very limited facilities. We can make arrangements for a day or two. You can visit us on any day between 10am to 5pm. 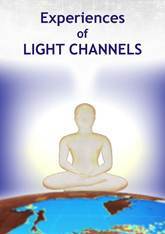 Is meditation and Light channelling same? In Meditation we receive the Light and experience the Light. When we channel, we receive the Light, experience the Light and spread the Light. Meditations help us grow individually and as we grow we also help others by channelling Light. 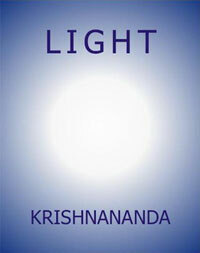 To know more about Light Age Meditation kindly fix an appointment for me at the earliest please. You may please visit us on any day between 10am to 4pm and meet any of our volunteers or you may write to us on info@lightagemasters.com about what exactly you wish to know. We have to imagine the process of light channeling through our body as per video is this correct process or it needs some thing else? I read it currently. It is correct. We have to channel the Light through our body. How do I know how much more progress I need from where I already am? As we have understood from Guruji, there is no limit to our Spiritual growth. Sadhana never ends. Even after enlightenment, there are stages beyond that. How can I meet my Guru, I am meditating for last five years but still can't connect with myself and feel sad from inner. I wish to be happy from my soul. When we have a genuine intention to grow spiritually, we do meet our Guru at the right time.About your Meditations, you may please consult the person who is teaching you Meditations. In some websites they say that Light channeling can also be done in imaging golden colour. Which colour of imagination is more efficient? When we think of Light, we think of God Himself. That is more important. Not that a particular colour is more efficient. But we can think of White Light. Hai Sir. 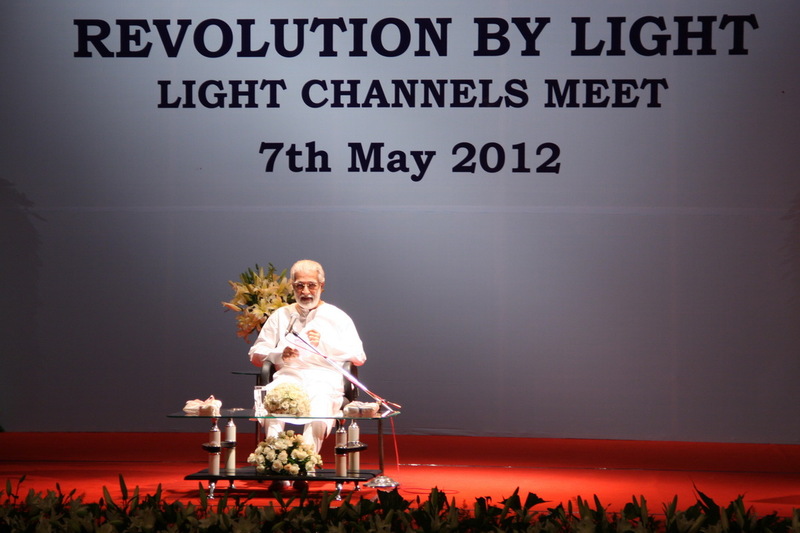 I was doing Meditations and spread Light as per your instructions in the previous years and then stopped. But now I wish to do meditation regularly. What can I do? Please guide me. You may re-register for guidance if you wish to begin Meditations again under our guidance. If you just wish to channel Light, there is no registration required. You can begin channelling again. In which direction Light channeling can be effective? We can sit facing any direction while channelling Light. We spread Light in all the directions and to the entire earth. I would like to be a member of your organisation. You may please write an email to us separately if you wish to learn Meditations.